Our troop has garnered awards for Outstanding Eagle Scout, Scoutmaster of the Year, Eagle Scout Project of the Year and many more. Sampson Brass, Assistant Scoutmaster, was awarded the Silver Beaver (Scouting's second highest award) in January 2010. Scoutmaster Samuel Pickwick was also awarded the Silver Beaver in late 2013. 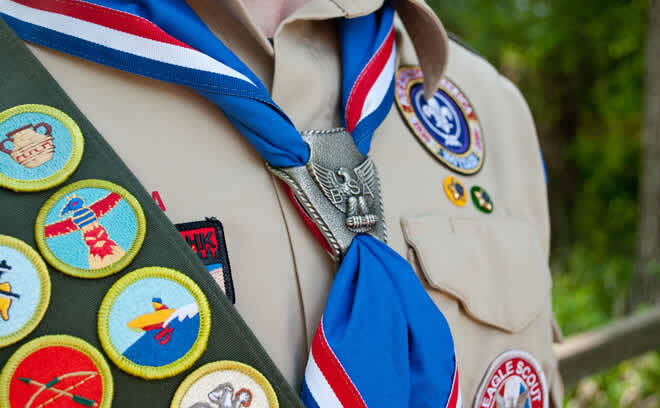 Troop 12345 has campouts every month. Past campouts have focused on rock climbing and rappelling, caving, biking, hiking, and canoeing. We have regular events like "Score-O, an orienteering campout, a mid-winter lock-in, and the big canoe race in the spring. Each summer we attend a week-long summer camp. Traditionally, we take spend every other summer camp in the Smoky Mountains.